Dr. Svendsen is committed to helping Central Oregon’s families raise children that are healthy, happy, assured individuals. 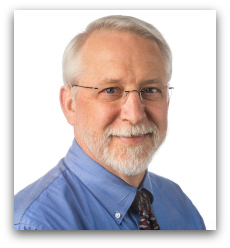 He is a key figure in coordinating Pediatric Oncology care in Central Oregon, working closely with Doernbecher’s Children’s Hospital and St. Charles Cancer Care Center to take care of our community’s children with cancer. Dr. Svendsen is a strong advocate of preventive medicine to keep kids safe, such as car seats and immunizations. Dr. Svendsen understands that clear communication is vital, and strives to explain diagnoses and treatment plans in a meticulous, step-by-step process. Prior to becoming a part of the Central Oregon Pediatric Associates team in 1990, he practiced in the Alaskan wilderness.